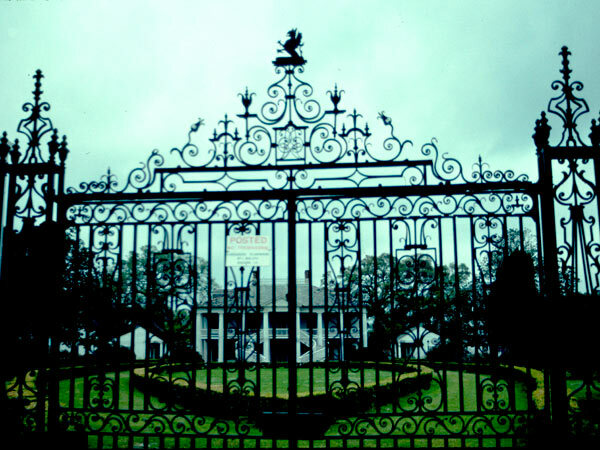 Located on the west bank of the Mississippi River equidistant between New Orleans and Baton Rouge, this 575-acre property was founded by the Becnel family as a sugar and rice plantation around 1812. 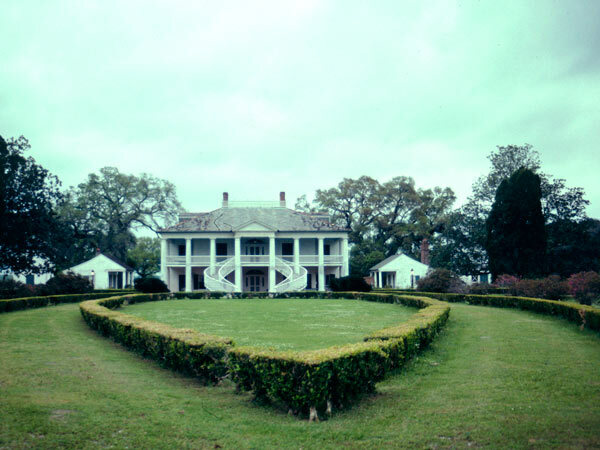 Compact and symmetrical, the plantation complex is organized around the Greek Revival-style big house, which was designed by John Carver in 1832 and has a striking pair of helical staircases extending from the facade. The house is flanked by two dependencies and oriented towards the river, overlooking an extensive lawn and wetlands along the riverbank. 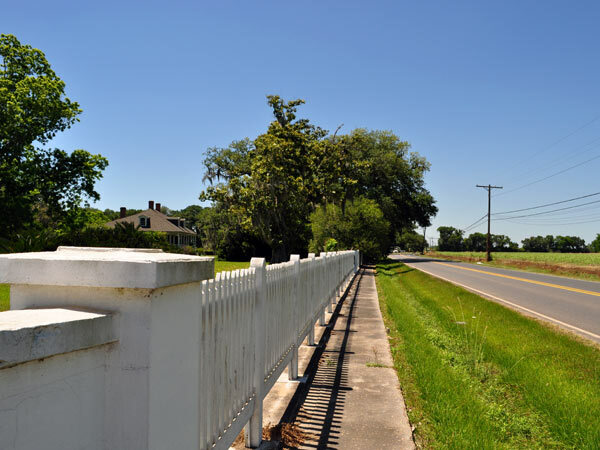 The plantation frontage has whitewashed wood fencing and stuccoed walls that meet at an ornate wrought iron gate. 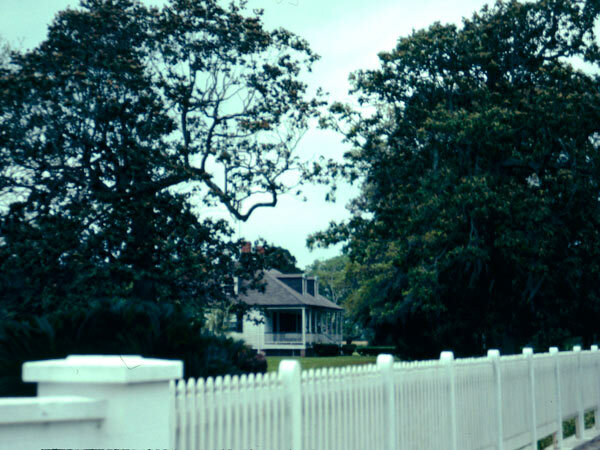 The rear of the house faces a square, ornamental boxwood parterre, edged by outbuildings with live oaks shading the corners farthest from the house. 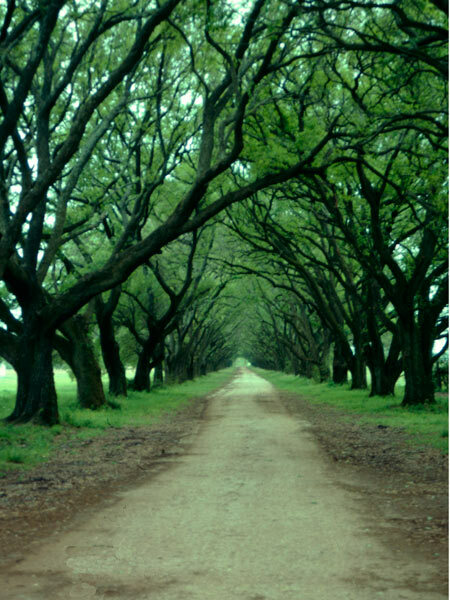 A 1300-foot live oak allée extends deeper into the plantation, under which 22 slave cabins flank the drive. 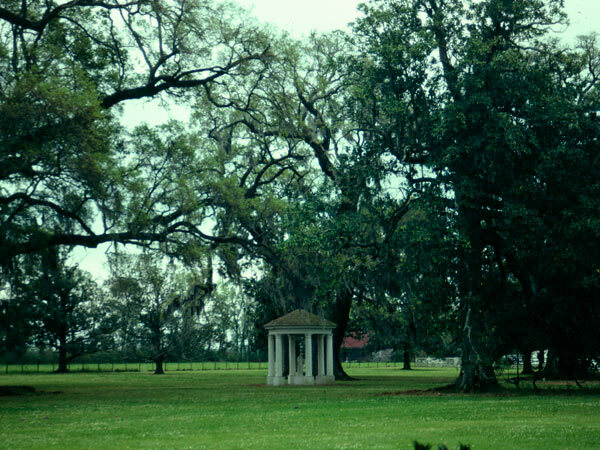 Evergreen functioned as a plantation until the onset of the Great Depression, when it was abandoned. It was purchased by Matilda Gray in 1944, who oversaw extensive renovations to the property. 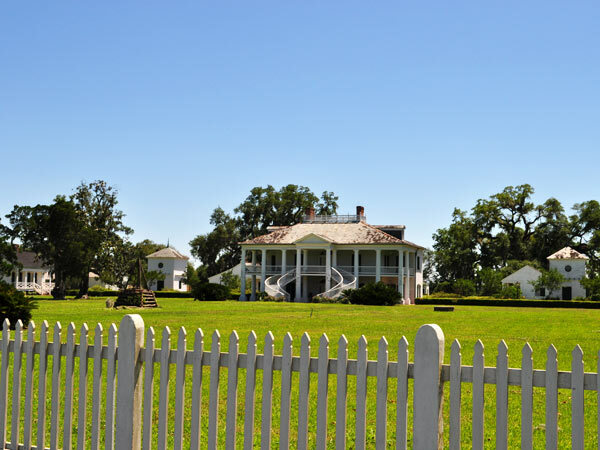 Today, still a working farm but also open to the public, Evergreen Plantation and its 37 antebellum buildings is considered one of the most extensive and intact examples of early American agricultural enterprise in the Southern U.S. It was designated a National Historic Landmark in 1992.